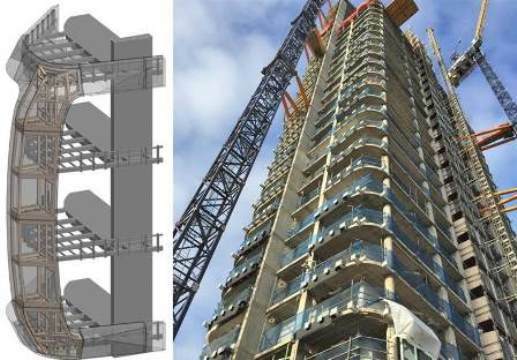 We have put our BIM and 3D modelling skills to deliver freeform steelwork for Ardmore Construction at Canaletto London in the heart of the City. 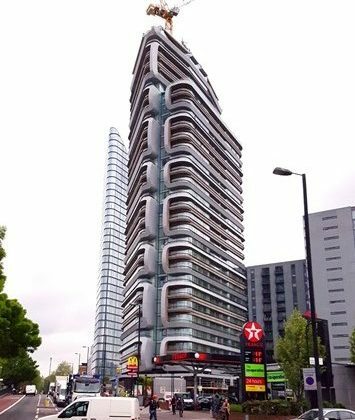 In conjunction with consultants Albany Façade Engineering and sub-contractor NES-Solutions, we designed and fully detailed the steel sub-frames that a bolted to the main concrete structure to carry the aluminium and GRC cladding for this elegant 31 storey luxury apartment building. We worked across multiple software platforms in close collaboration with the team; every detail of the cladding was considered from the way it looks to how it would be built. The frames were designed with simplicity, ease of manufacture and construction. Each connection is adjustable to ensure the panels line up for a perfect finish.